Get 15% off your next order at ´Live Better With´ with this exclusive promotional discount code. Live Better With proudly present this promo code to all TroopScout users: serving members, ex-forces, and family. Thank you all so much for your service and sacrifice! Click ‘Get Code’ to get the voucher code and open the Live Better With website. Once you’ve selected the items you want, click ‘Add to Basket’. When you’re ready to purchase your items, click on the basket icon in the top right corner of the screen. Click ‘Use Voucher’ on the right hand side. Type in the TroopScout voucher code into the box provided and then click ‘Apply’. Once the discount has been applied, click ‘Continue to Checkout’. Fill in your details to create an account or log in. Fill in your delivery details. Click ‘Continue’. Select a delivery method, and then click ‘Continue to Payment’. Enter your payment details and click ‘Continue’. Review your order before confirming the purchase. 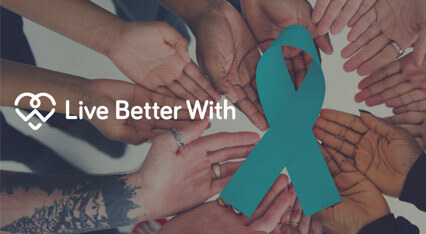 Live Better With are a company with a mission to help the millions of people who suffer from cancer every day. Focussing on their day to day lives rather than medical treatment, Live Better With aim to provide a little bit of comfort and improve their quality of life. Having created a knowledgeable community of experts, charities and cancer patients, Live Better With are well equipped to design,create and collect the most effective products to help those who need them. To keep things simple, they have developed a fantastic way for people to search and browse the site with ease based on how a person may feel, such as ‘can’t sleep’, ‘feeling sick or ‘post surgery’. For advice and guidance on a range of topics such as ‘eating well’, ‘hair loss’ and ‘palliative care’, go to their ‘Blog & Tips’ section. Find products recommended by experts and fellow patients to help improve your daily life.